Feldspar group, blue-green color, microcline, triclinic system, avg. 3/4" each. Colorado. Gray to brown, orthorhombic, pseudohexagonal twinning, 3/4" to 1 1/2" each. Spain. 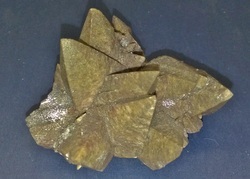 Reddish brown crystal clusters and rosettes showing pseudohexagonal twinning. 1.5" to 2". Morocco. Deep red, hexagonal, 3/8" to 1/2" each, Madagascar. Natural, isometric, various forms, 2-4mm each. Africa,China,or Australia. 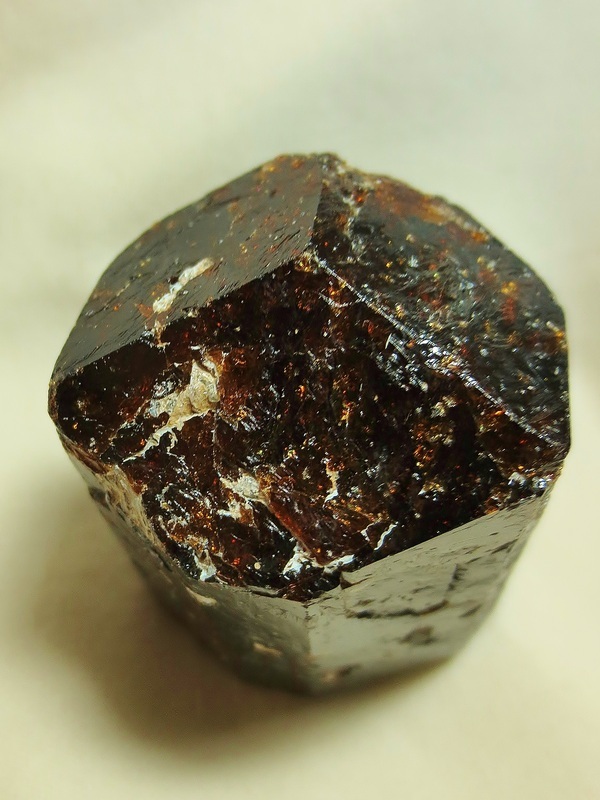 Garnet Group; single and intergrown dodecahedral crystals, pink to green, isometric, 3/4"-1" each. Mexico. Sharp complete single crystal, isometric system, Pyritohedral form, 3/8" each. Spain. 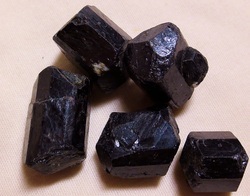 "Herkimer diamond;" doubly terminated, hexagonal, 3/8"-1/2" each. New York. Singly terminated, hexagonal, 1 ½" to 2 ¼" each. Various Localities. 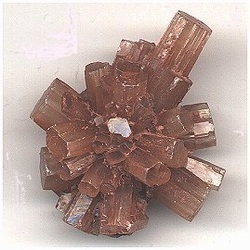 Twinned, brown crystals, orthorhombic system, 3/8"-1/2" each. Madagascar. 1/2" to 3/4" black single crystals. Brazil/China.